EHN, together with leading research associations, scientific societies, universities, and patients groups, signed up to a statement supporting the current Directive 2010/63 on the protection of animals used in research. This statement calls on the European Parliament to oppose the European citizens initiative "Stop Vivisection in the EU". 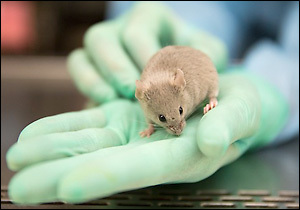 This initiative asks to repeal the current Directive and to ban all animals from research. The use of animals in research has facilitated major breakthroughs in medicine which have transformed human and animal health. With the signatories of the statement, we support research using animals where alternative methods are not available, where the potential benefits to health are compelling, and where acceptable ethical and welfare standards can be met (the 3R's principle). You can read the statement here.